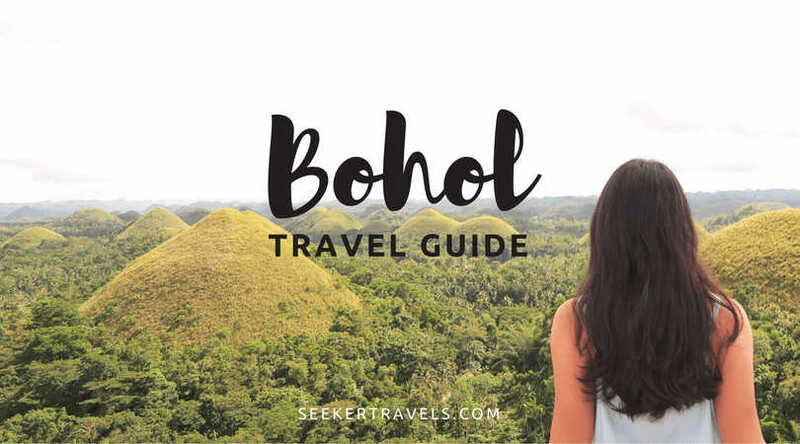 Helping you discover the Philippines, one island at a time! Go on a road trip! Take your car, your motorcycle, or hop on a bus to these nearby destinations. Be a tourist in your own city. There's so much more to discover. Stay tuned - we're launching these travel guides very soon. If you've only got a weekend to spare, Batangas is always a no-fail destination! Choose from the best beach resorts in Batangas for your next out-of-town trip. A handy guide to the best Philippine destinations to visit for each long weekend in 2018! Looking for ideas for your next road trip? This list's got you covered with nearby weekend destinations arranged by travel time! La Union attracts both surfers and non-surfers alike with its relaxed vibe, budding nightlife and close proximity to Metro Manila. If you're into the great outdoors, lots of cheap and delicious seafood (and pako salad! ), with one or two historical stops, then read on. Full of Baguio itineraries from all over the web! Whether you go for a quick day trip or on a long weekend, you'll find a sample itinerary here for you. Full of Cebu itineraries from all over the web! No matter how long your trip or where you’re going, you're sure to find a sample itinerary here for you. Going to Siargao soon? Here’s a four-day sample itinerary and budget breakdown for you! Full of Siargao itineraries from all over the web! No matter how long your trip, you're sure to find a sample itinerary here for you. Explore the emerging tourist destinations of Malabon, Las Pinas, and Paranaque with this 2-day itinerary! Full of La Union itineraries from all over the web! No matter how long your trip, you're sure to find a sample itinerary here for you. Full of Boracay itineraries from all over the web! No matter how long your trip, you're sure to find a sample itinerary here for you. If you can only spare a weekend for your trip to Baler, don't worry! There's still a lot of things you can fit into your quick visit. Weekend warriors, this jam-packed two-day itinerary's for you! Working in paradise? Get your coffee fix in these Siargao cafes! Your guide to the best happy hour deals in La Union, including a cheat sheet you can save! All the best restaurants in Siargao in one list, including tips and meal budgets. Stop by this hidden gem on your way up to San Juan, La Union for fresh & delicious seafood by the beach! Want Portuguese food? Magellan's got you covered! Come happy hour, it's the perfect place to drink, watch the sunset and catch up with friends! This chill, beachside cafe is your new secret coffee spot in La Union! Delicious family recipes, Instagram-worthy meals, and scrumptious desserts - read on to discover our new favorite brunch spot in Baguio! If you're looking for the best Japanese restaurant in Baguio, popular with both locals and tourists, then Chaya is the restaurant for you! A favorite of Baguio locals and tourists alike, Sage's delicious home-cooked meals, cozy ambiance, and affordable prices make it a must-visit when in Baguio! You don't have to go far to beat the heat. Cool off and spend the day at these stunning pools around the Metro! Heading to Cebu’s Malapascua Island? Take your pick from 19 different hotels, arranged by budget and with sample room prices. If you're on the hunt for a nice Siargao accommodation that fits your budget, read this! Whether you want to save or splurge, there’s something here for you. What makes this resort so popular? Read on to find out why everyone raves about this resort and if we felt the same way! With its beautiful aqua-themed rooms, amazing Manila Bay view, and delicious food, Hotel H2O is a wonderful and relaxing surprise. Book your next staycation with Hotel H2O! Find 12 hotels in Manila perfect for a relaxing Mother's Day staycation, all for just under P6,000 a night! A round up the best Cebu Airbnbs for any budget! Whatever your budget, there’s something here for you. Whether you prefer the city or the beach, history or adventure, here are some tried-and-tested destinations for you! Thank you and happy exploring! PS. Don't forget to check your email inbox to finalize your subscription. For feature suggestions or feedback on your experience, email us at hello@seekertravels.com.